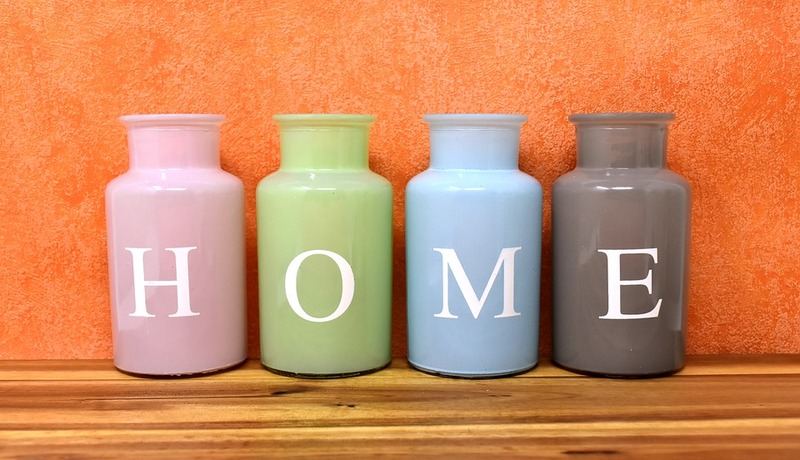 It may be dull and cold outside, but that’s no reason for it not to be bright and colourful inside your home. For a while now it feels like we’ve been bombarded with the benefits of minimalist home design, featuring whites, creams and barely-there hues. But while these can be useful design elements, it’s important not to become scared of using colour in your home. Bold colours make spaces appear more memorable and mesmerising. There is a spectrum of options when it comes to introducing big colours into your interior setting, from the fun and unusual to the chic and traditional. Here are some of our favourites. If you want to keep your walls neutral, a great way to add a healthy dose of bold colours to a space is to switch up your upholstery. Bright tones and fun patterns will make your living space instantly more memorable, while also allowing your sofa and chairs to stand out as an inviting hub. Try choosing two or three tones and using them across your seating. Alternatively, you can go for a less permanent option by introducing a range of colourful cushions and throws to your sofas, changing their look without committing to new upholstery. Again choose a few bold colours and spread them throughout the space. Add some energy to a more subdued dining area by swapping out your chairs for colourful alternatives. Jelly chairs are one fun option, offering a range of rainbow shades and a translucent look that allows light to shine through and cast bright shadows behind them. Try choosing a few different shades and pairing them with a colourful statement piece of wall art for cohesion. These elements pair well with a more modern and minimalist table and wall colour, bringing pops of colour to the space without making it feel overly busy. You can even introduce subtle accents to complement your seating, like a jazzy flower arrangement or bright table mats and coasters. Your hallway is your home’s first chance to make a great impression. Choosing bold colours for your entranceway is a great way to introduce a bright tone that doesn’t dominate the rest of your home, adding an energetic buzz to an area that can be hard to style. A colourful seating area, piece of statement artwork or a bold rug could be all you need to turn your hallway from drab to fab. This will help you think of your hall as a place you can actually enjoy, rather than one simply used to get from room to room. Don’t forget about your bathroom when bringing colour into your home. A tile display is a fantastic option for making you bathroom feel more exciting and desirable. For maximum effect, combine bold shades into a mosaic style, mixing dark and light tones against a more neutral overall space. You can also apply this idea to the kitchen, creating a fun and stylish backsplash to jazz up the heart of your home. You don’t need to invest in whole new furniture in order to bring the fun to your décor, simply spruce up your existing wood pieces with a fresh coat of paint. Ordinary looking wardrobes, chests of drawers, headboards and bookshelves can be given a new lease of life with a fun and attractive colour. This is an instant way to create an eye-catching accent piece, such as a blue rocking chair or a couple of canary yellow end tables. Place them in neutral settings to help them really stand out. Make 2019 the year of your dream home, and invest in the perfect blank canvas for your own colourful style. Homes by Esh properties are built with more in mind, located in attractive developments across the North of England. Discover our homes for yourself and get in touch via our online Live Chat service today.